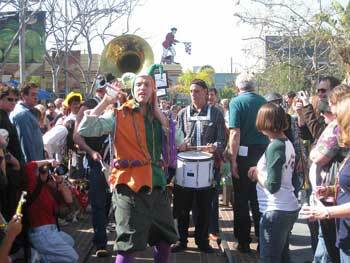 Los Angeles Mardi Gras and Fat Tuesday parties. Beads, bands, jambalaya and more: Celebrate at these Los Angeles Mardi Gras and Fat Tuesday parties. Here’s your guide for finding Los Angeles fun for Mardi Gras! Feb. 12. Celebrate the beginning of Mardi Gras week at Tastemade Studios. Enjoy more than 20 of the finest New Orleans dishes and drinks from restaurants around L.A. (think jambalaya from Little Jewel of New Orleans, shrimp and grits from Bar and Kitchen and crawfish and crab étouffée from the Flavor Table), and live music by The Mudbug Brass Band. 1816 Berkeley St., Santa Monica. More Info.